Do you use essential oils? You must be familiar with diluting your essential oils with a carrier oil or natural oil. Natural oils/carrier oils are a stellar compliment to essential oils. The robust combination can be used to create skin and hair products such as balms, lotions, salves, scrubs, and massage oils. Want to know more about natural oils/carrier oils? Read on to find out more! Are Carrier Oils Good For Acne? Can I Use A Carrier Oil As A Facial Serum? Can I Use A Carrier Oil As A Makeup Remover? Can I Use Carrier Oils In My Facial Skincare Routine? How Do I Dilute An Essential Oil, Absolute Or Extract In Alcohol? What Are The Odds Of Working With A Thick Oil? How Do I Dilute An Essential Oil, Absolute Or Extract In A Carrier Oil (Eg, Fractionated Coconut Oil)? What Are The Differences Between Essential Oils And Natural Oils? What Are Natural Oils For Cooking? Does Natural Oil Promote Hair Growth? Can You Mix Natural Oils Together? Can Natural Oils Repel Bugs? Can Natural Oils Prevent Acne Breakouts? Can Natural Oils Help Eczema And Provide Skin Hydration? Can Natural Oils Cause Acne? Are Natural Oils Good For Your Hair? Are Natural Oils Good For The Skin? Are Natural Oils Good For Eczema? Certain carrier oils can be excellent for tackling acne because they contain a decent amount of linoleic acid, which can balance the low linoleic acid in acne-prone skin. Such carrier oils include rose hip seed oil, grape seed oil, hemp seed oil, evening primrose oil, and more. Combine the carrier oil with an essential oil such as tea tree (Melaleuca alternifolia) or lemon (Citrus limon) for greater effect. Use a 1% dilution for the face, until you know how your skin will react; in addition, pay attention to any other contra-indications for use. Yes, you can use a carrier oil as a facial serum because the oil will be able to replace the face cream or face lotion portion of a facial product. Suitable carrier oils to be used as facial serums include sweet almond oil, pomegranate seed oil, rose hip seed oil, and more. These are the most comment carrier oil for such, pomegranate seed (Punica granatum), rose hip seed (Rosa rubiginosa), or sweet almond (Prunus dulcis) for starters. Add appropriate essential oils if desired. Yes, you can use your favorite carrier oil to remove eye makeup. However, make sure you perform the task gently with a cotton pad. Next, dispense one or two pumps of makeup remover onto a cotton facial round or washcloth. Apply that in circular motions over your face until the makeup has been removed. Yes, you can utilize carrier oils in your facial skincare routine. You may use carrier oils as a makeup remover, a facial serum to treat dry skin, and for acne treatment. Carrier oils are high in linoleic acid, which is needed to improve the condition of one’s skin. The first step is to determine to what percentage you plan to dilute an essential, extract, or absolute. Secondly, decide on how much diluted material you need or want. You should avoid heating alcohol at all costs because it could lead to a fire hazard. If the essential oil fails to mix completely into the alcohol, try shaking the mixture periodically. For example, if you are working with a very strongly scented material, you may want to dilute it to 10%, or one part scented material plus 9 parts high proof alcohol (grape or grain is best, or Everclear). You can use drops, milliliters, ounces, etc. as the measuring unit, e.g., one drop Tobacco Absolute, 9 drops alcohol. Second Step, determine how much diluted material you want. For example, for one ounce (30 milliliters) of a 10% dilution, measure 3 milliliters of the scented material and 27 milliliters of alcohol into a one ounce bottle. Never heat alcohol due to fire hazard – generally, the heated material should easily incorporate into room temperature alcohol. If the essential oil, absolute, or extract does not mix completely into the alcohol, you may need to allow a period of time for incorporation to be completed; shaking the bottle as often as you think of it will help speed up the process. Remember: Always to label, date, and record your dilutions. The odds of working with a thick oil are low. You will not only come across essential oils that are thin in viscosity (containing a water-like consistency). You may encounter steam distilled essential oils such as sandalwood and patchouli. Although thicker by nature, they are still relatively easy to work with. If you are working with a strongly scented material, it is recommended that you dilute it to 10%, which is nine parts stable carrier oil with one-part scented material. If you need to dilute very thick extracts, absolutes, or essential oils, you should ensure that the carrier oil is pre-heated to almost the same temperature as the heated essential oil, extract, or absolute. For example, if you are working with a very strongly scented material, you may want to dilute it to 10%, or one part scented material plus 9 parts stable carrier oil. You can use drops, milliliters, ounces, etc. 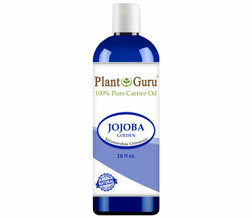 as the measuring unit, e.g., one drop Tobacco Absolute, 9 drops of jojoba oil. For example, for one ounce (30 milliliters) of a 10% dilution, measure 3 milliliters of the scented material and 27 milliliters of carrier oil into a one ounce bottle. 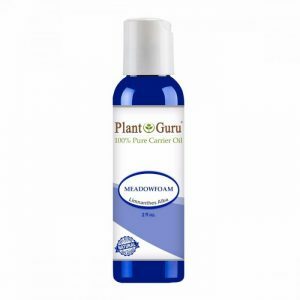 A carrier oil is designed to dilute your favorite essential oil so that it can topically applied on your skin. This type of oil serves as the base that carries the essential oil that is being mixed into it. In many cases, the amount of carrier oil is usually more than the essential oil. At the other extreme, Coconut and Jojoba oil (which is really a liquid wax) will keep for many, many years. The Quinessence 5% and 10% Dilution Range uses Jojoba oil as a diluent for this very reason – these products will keep for many years as opposed to a dilution produced with almond or grapeseed oil which would only last for a few months. Carrier oils will go rancid eventually due to the presence of unsaturated fatty acids which tend to oxidize quickly if not stored properly. However, this process usually takes up to a year and these products should have been used long before such a long period. This is one very good reason to buy smaller sizes of these products more regularly, rather than the one purchase of a larger size. If you are not going to use the oil quickly it can be a false economy. Also known as ethereal or volatile oils, essential oils refer to any hydrophobic and concentrated liquid that contains volatile aroma compounds from the extracted plant. Natural oils are triglycerides and are the main constituent of animal fats and vegetable oil. Its glycerin is typically esterified with three fatty acids. The key distinction between essential and natural oils depends on how they are manufactured. Essential oils are usually distilled from different parts of specific plants depending on the type of oil being extracted. The end result is usually a highly-concentrated product which has the essence of the botanical product it was extracted from. Essential oils are typically derived from specific plant species and parts, and usually contain a variety of naturally occurring chemicals. Natural oils are those which are manufactured without the addition of synthetic compounds. As a result, natural oils tend to be as pure as possible, and are usually well tolerated by the body. The extraction process of natural oils is usually controlled to reduce addition of any synthetic substances into the oil. Care has to be taken when shopping for essential and natural oils to avoid being misled during the purchase. The best solution to ensuring that you get value for money when buying essential oils or natural oils is by choosing manufacturers and retailers of good repute. Reading the ingredient list of any oil product is also important. This way, you can easily identify whether the oil is exactly what you are looking for or not. Yes, there are natural oils that help promote hair growth. For example, avocado oils can help stop the process of hair loss while encouraging new growth and repairing damage. Individuals can apply the pulp directly or use the oil from the plant. There are some natural oils that have been noted to be effective at increasing the rate of hair growth. Combining them with other measures such as improving your diet, using the right hair care products and sometimes even the use of medicines will play a significant role in increasing hair growth. These oils also tend to have secondary effects such as locking in moisture in the hair, making it soft and have a healthy sheen. Some of the natural oils that have been proven to increase hair growth include clary sage, cedar wood and even chamomile. For them to be effective, they have to first be extracted in the right manner. Ending up with an oil that has the right concentration is important. You can make sure of this by simply buying products that are made by well-known manufacturers. Lastly, you should also get some tips on effective application of the hair oil products so that they can work. Most involve applying the oil to the scalp, so you should not simply apply the oil to your hair tips and expect fast growth. Always follow the instructions for use and you will get a positive outcome. Yes, natural oils provide real benefits to their users. Every natural oil possesses its own unique chemical composition, which alters our emotional, physical, and mental levels in various ways. It can help users fight against common bacteria and fungal strains, aid sedation, reduce headaches, and more. Every natural oil has its own unique chemical composition which gives it its ability to how it is absorbed, how it smells, or how it affects us. Some popular natural oils are tea tree, lavender, peppermint, bergamot, and oregano. Natural oils possess anti-microbial components which can fight against common fungal strains and bacteria. Mere inhalation or even topical application of these natural oils helps improve anxiety and stress. Even neurological conditions can be helped with these natural oils. Natural oils like lavender oil do help with sedation. Its aromatic properties help to improve the quality of sleep and the time. Also, natural oils are used to fight acne and prevent breakouts. Their anti-inflammatory properties help to fight these acne lesions. Akin to conventional drugs, natural oils have the ability to fight headaches and do so in fifteen minutes. Natural oils help to disinfect wounds and are also used in the treatment of infections. Natural oils can be applied to your skin to improve flexibility or treat eczema or even to reduce arthritis pain. The oil permeates the skin and is absorbed in a similar way to conventional drugs. Natural oils can also be inhaled just as you may do for common cough with eucalyptus or with peppermint in the reduction of fatigue or even nausea. Yes, you can mix natural oils together. For safety reasons, you may wish to include an anti-inflammatory oil into the mixture. When it comes to mixing natural oils, there is no right or wrong. You just need to know what you want out of your natural oil formula. An excellent thumb rule is to begin by creating a formula for 100 drops because it helps to increase or reduce the ingredients as you may require. There are no black and white but shades of grey since this is your own mixture. During the process of blending, you need to be mindful of your goal. You need to stop, relax, breathe in, and let the scent help you to your ideal or any other choice. You can successfully blend a couple of natural oils or even scores of them together. Only when you do blend these natural oils you have to remember that each of the oil contains around 50 to 100 aromatic chemicals. Hence, the quantities of each of the oil have to be very specific or you may miss the bus. Combining three or more pain relieving oils is also possible with the result being more successful than with only any single oil. Once you attain synergy with the fragrance then you are bound to achieve synergy in its therapeutic uses. However, since you are blending these natural oils, you are incorporating a positive energy into them and hence their effect will be more positive than any single oil. Yes, natural oils have the ability to repel bugs! Certain oils can help you keep away ants, moths, mosquitoes, and other biting insects. If you usually spend more time outdoors, it is a good idea to keep your favorite natural oil mixture in a spray bottle. You can spritz on exposed skin before heading out. The natural oils can be used in a number of ways as insect repellants. There are some that are designed as oils that you apply to your skin. These are ideal if you are on the move. For instance, when visiting a tropical country, you could invest in natural oils which contain insect repellent activity. Natural oils can also be used on this basis in the form of aromatherapy. You can buy candles and aromatherapy sticks infused with natural oils. When these are slowly burnt, the scents from the natural oils become suspended in the air and repel specific bugs. Most of these have a nice scent as well. The key to using natural oils to repel bugs lies in proper selection and use. To ensure that you are getting the genuine product, you should buy natural oils from respected firms, since you will be assured of their quality. High quality natural oils will not only repel the specific bugs that they are supposed to repel but will also be nontoxic to you or your pets. You should also learn how to properly use the natural oils in order to get the most out of them. Simply reading the instructions for use or consulting the retailer you buy from should be enough to get sufficient information. Certain natural oils can prevent acne breakouts as they can tackle various issues such as dead skin accumulation, excess oil production, bacteria, and clogged pores. When those issues are left untreated, they could cause painful and unsightly acne breakouts. This may cause scarring and diminish the individual’s self-esteem. Age is no criterion for the occurrence of breakouts. The cause for these breakouts may be the balance in your hormones, or your diet, even your genetic structure or stress level. Excellent natural oil used to prevent breakouts is the tea tree oil. This natural oil also is abundant with antifungal, anti-inflammatory, and antibacterial composites which help to thwart any flare-ups and prevent them from turning nasty. If you are on the lookout for soothing natural oil, then lavender natural oil is ideal for you. Because it helps calm your skin and in the reduction of breakouts and simultaneously includes lavender into your beauty regime for prevention of blemishes. Also, the bergamot natural oil helps perk your skin up with its vitalizing scent and antibacterial characteristics makes it an exceptional choice to prevent zits. Normally, rosemary is used as an addition to flavor food like chicken or potatoes, but its oil does help in the prevention of breakouts. The rosemary natural oil revitalizes your skin due to its unique ability in the reduction of oil on your skin. Its anti-inflammatory characteristics are ideal for puffiness and redness. Natural oils can be incorporated into treatments for effective relief of eczema symptoms. Evening primrose, coconut, and sunflower seed oils are some of the top natural oils for eczema and skin hydration. By topically applying natural oils like coconut oil, one can decrease staphylococcal colonization. There are many guidelines for reducing the risk of an eczema flare up including avoiding known irritants. In addition to that, using natural oils has also been found to be useful. A selection of natural oils has specific effects on the skin and local immune system and could slow down the process. Some natural oils have anti-inflammatory effects on the skin once applied. These include thyme, eucalyptus, bergamot and many more. Application of compounds with these natural oils in them will help in reducing the inflammation on the skin without affecting the rest of your immune system. In addition to reducing inflammation, some natural oils also keep the skin hydrated. This is an important aspect of care of eczematous skin. By keeping the skin hydrated, these oils also help in keeping it supple and soft. Some individuals may experience negative reactions such as an acne breakout if they apply an unsuitable natural oil product on their skins. You must not misunderstand that “natural” automatically equals “gentle.” Different natural oils have different concentration levels and potencies. Acne can be caused by natural oils, which are comedogenic and contain ingredients which clog your skin pores. If your skin is prone to whiteheads, break-outs, or even blackheads, then it is most prudent not to use comedogenic oils. If you use any oil on your skin, even for treating acne, it is advisable to make certain that the products do not contain comedogenic oils or any other acne causing components. Though some natural oils may be very helpful for oily skins, due to their unique quality of possessing fatty acids, others may be more prone to blocking pores and causing acne. That is the reason why natural oils, which are not naturally high in linoleic acid, are not conducive to those with oily skin as they tend to clog pores. Unfractionated coconut oil or coconut oil containing fatty acids is heavier than fractionated oil and this makes it unhealthy to be used with oily skin. Natural oils with even slightly less linoleic than oleic and oils with fatty acids may be harmful to your face and may even cause acne. The normal belief is that because oily skins are low in linoleic acids, natural oils with more oleic fatty acid are prone to causing acne. Natural oils are generally safe to use. You should make sure that you purchase your natural oil products from a reputable manufacturer or retailer. Next, you should adhere to recommended dosages and concentration levels. Ultimately, the natural oils you utilize will depend on your expected outcome. First time users of natural oils usually have many questions regarding them. One of the most important is their safety profile. There are many negative stories about people using novel beauty products and then ending up having a worse outcome than expected, and this is a legitimate concern. When properly extracted and used, natural oils are very safe. They contain extracts from specific plant parts such as leaves and blossoms, and these usually do not have ill effects when properly used. The key to this, however, is choosing the right botanical for the extraction process. This essentially means that when you buy natural oils that are chosen from the right plants and made in the right way, they are unlikely to have any ill effects. They are very safe, and can often be used by even those who are more sensitive to allergens and other chemicals. You should therefore not be afraid to use natural oils for the first time. As long as you select one that has been made well, you should be safe. This means choosing products from manufacturers and retailers who value quality. Natural oils can add shine and moisture to the individual’s hair. The oils nourishes the scalp and can help reduce dry and flaky skin. If you are affected by dandruff woes, try applying natural oils. They will aid healthier and faster hair growth. There are other natural oils which can be used to help your hair grow stronger and shiner. Avocado oil can be used to add luster to your hair. When used in combination with yogurt, olive oil, and egg yolk, your hair will shine and be the cynosure of all eyes. Avocado oil being rich in Vitamins E and B helps in strengthening your hair and prevents loss of hair. Natural oils also help you with frizz and split ends. Castor oil not only gives your hair more shine but makes it grow thicker. Also, use of natural oils does not cause any infections to your scalp. These oils are best for deep conditioning of your hair. Olive oil contains fatty acids and it coats your hair shafts to make it look perfect. Individuals with hair loss will benefit from almond oil as it has hair strengthening properties. It contains high quantities of vitamin E and helps in moisturizing and adds shine to your hair. Natural oils like argan oil, also known as “Liquid Gold”, controls fly-aways and help to keep your hair hydrated. What’s more, natural oils help your hair grow stronger as well as look shinier and more lustrous. By choosing the correct natural oils, you can keep your skin moisturized, feeling smooth, and glowing in a natural manner. Other amazing properties including helping individuals fight acne breakouts without leaving any slimy residue and clogging pores. They increase hydration in your skin and also gives it a healthy glow. Natural oils like the cold-pressed rosehip seed oil not only help in skin hydration but also in replenishing it with vitamins. These vitamins stimulate the production of collagen that produces a youthful look; they are much like anti-aging agents. This oil creates a matte look as it is easily absorbed by your skin. This type of oils provides a soothing effect and that’s why it can be applied as a balm to your irritated skin. Natural oil like the sweet almond oil (which is cold-pressed) and lightweight oil are used as an anti-inflammatory salve and also helps in repairing damaged skin. Carrier oils like carrot seed oil, which is cold-pressed from carrot seeds, helps in healing sores and wounds. Avocado oil is soothing to the skin and is a panacea for sunburnt skin and also for calluses. This natural oil also gives your skin a youthful and vibrant glow. Natural oils also have the ability to repair blemishes and scars. Massaging olive oil into your skin will do your skin a world of good. Natural oils infiltrate your skin, moisturize, and offer protection to your skin from the hazardous toxins found in the environment like smog. Eczema can lead to the inflammation, scaling, reddening of skin. You can use natural oils such as olive oils, jojoba oils, or virgin coconut oils to reduce the appearance of those symptoms. Natural oils help moisturize irritated skin and increase the pace of the healing process. Management and treatment of eczema is by keeping the skin supple and soft. This is best done with the use of moisturizers to relieve and smooth the itching skin and act as a barrier preventing the penetration of allergens, irritants or bacteria and thus preventing eczema to be developed. Natural oil like jojoba oil which is akin to sebum, the oil naturally produced by our skin, has therapeutic characteristics helpful in the cure of eczema and dryness of skin. Both almond oil and apricot kernel oil act as a balm in relieving itching of the skin. Natural oils like the oil from the chamomile flowers are fungicidal, antibacterial, and anti-inflammatory and help in the reduction of eczema or dermatitis. These natural oils are easy to be absorbed and hence prove useful in the treatment of dry skin and eczema. Similarly, walnut oil is also an excellent moisturizer and so is used to effectively treat eczema. A caution to users – if you intend to use any of these preparations of natural oils, it is advisable to first test with a skin patch. Though all these natural oils are safe, you may be allergic to some of the ingredients like seeds and nuts which may harm your skin. Hence, it is but sensible to first carry out a skin patch test and then only start a regime of skin care. You can rest assure that you can purchase 100% pure natural oils at affordable rates. Natural products are never too cheap or too expensive. What’s important is that you gather all important facts about the products you’re interested in before buying them. One of the claims made by the sales representative is that the natural oil is “Therapeutic Grade’ or even “Certified Pure Therapeutic Grade”. Such a claim is baseless as no government agency has issued the certification of natural oil. Also, the natural oil is sometimes advertised as being “Medical Grade”; another misnomer, as all natural oils are 100% safe to use. Natural oils are precious by nature, but when mixed with carrier oils they become economical to use. When you intend to purchase natural oils, like sandalwood oil, it is preferable to shop with a renowned manufacturer or supplier. For then you are assured of the natural oils being diluted to the correct range with the authenticated carrier oils. The use of cheap natural oils may reduce the cost of natural oil, but in the long run may be harmful to your skin or hair. Thus, this will result in more medical costs which might negate the affordability of the product bought. It is most advisable to buy premium quality natural oils because these oils help you to achieve most effective results and benefits. Whatever natural oil you may be shopping for, it would be preferable if you were to obtain a Certificate of Authenticity from the Seller. This will ensure that not only will you get 100% pure natural oil but that the price is also justified.